If you’ve heard the term dental abscess before, it probably wasn’t in a positive way. An abscess is an infection, and when it involves the mouth, it is typically very painful. A tooth abscess is described as an infection at the root of a tooth, or between the tooth and the gum. While symptoms can sometimes be silent leading up to the infection, once an abscess forms, few patients can ignore it. In fact, an abscessed tooth is often referred to as a dental emergency. In most cases, an abscess occurs from severe tooth decay, or an untreated cavity. However, a dental abscess can also form in response to a sudden trauma or gum disease. 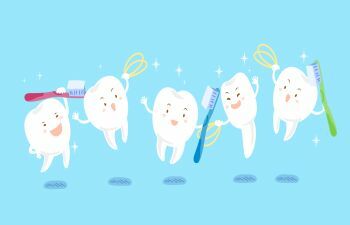 When tooth enamel is damaged or weakened, harmful bacteria is allowed to invade the center of the tooth (or the pulp). Unfortunately, this is where your tooth nerves reside, so any compromise to the inner chamber of a tooth can produce significant discomfort. If severe, patients may even experience general fatigue, swollen lymph glands in the neck, jaw inflammation or a lesion/sore on the gums. A dental abscess can be easily diagnosed upon visual exam and x-rays if needed. The goal of any treatment is to eliminate the infection and save the tooth. Neglecting to treat a dental abscess can lead to spreading of the infection to neighboring teeth as well as tooth loss. Your dentist may choose to drain the abscess and remove the diseased tissue, which can be performed through root canal therapy. A tooth extraction is sometimes needed if the infection is too widespread. Many cases may also involve antibiotic treatment to ensure the infection is cleared. You may be given over-the-counter pain medications to relieve your discomfort. Are you suffering from tooth pain associated with a dental abscess? Call Mitzi Morris, DMD as soon as possible. We offer emergency dental care to ensure your comfort and health are restored quickly.